Hey loves!! I have decided to start a new category on the blog, where I can share some great Behind the Glamour details with all of you. I have been asked countless times from readers and friends what camera and lens I use to take most of the pictures on the blog. I personally fell in love with the Sony line because it was much lighter and more compact than Nikon or Canon. My first camera was a SONY NEX 5N with the kit lens. 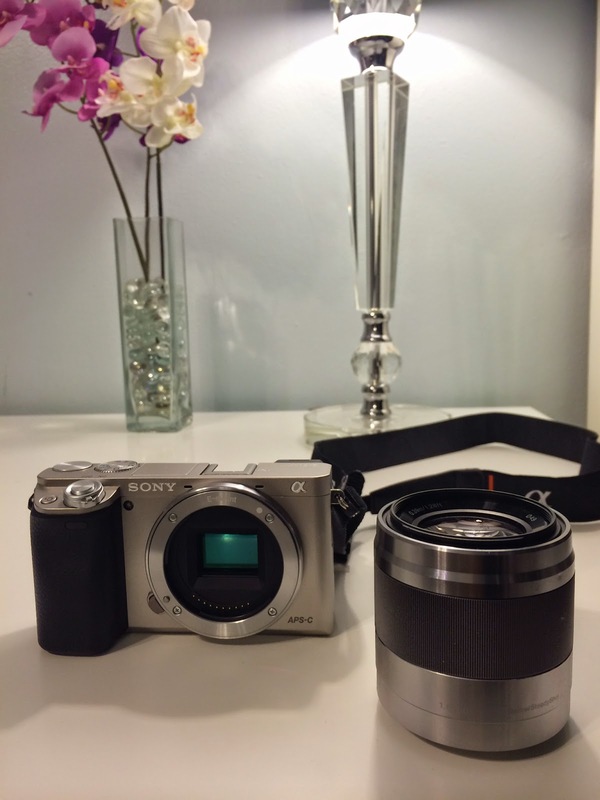 I was satisfied with the kit lens but I always craved more and I wanted better quality pictures so my fiance asked his best friend, who is a professional photographer, and he recommended the Sony 50mm f/1.8 lens for a more blurred background. Needless to say, we purchased the lens and it has been our go to lense for the past year. 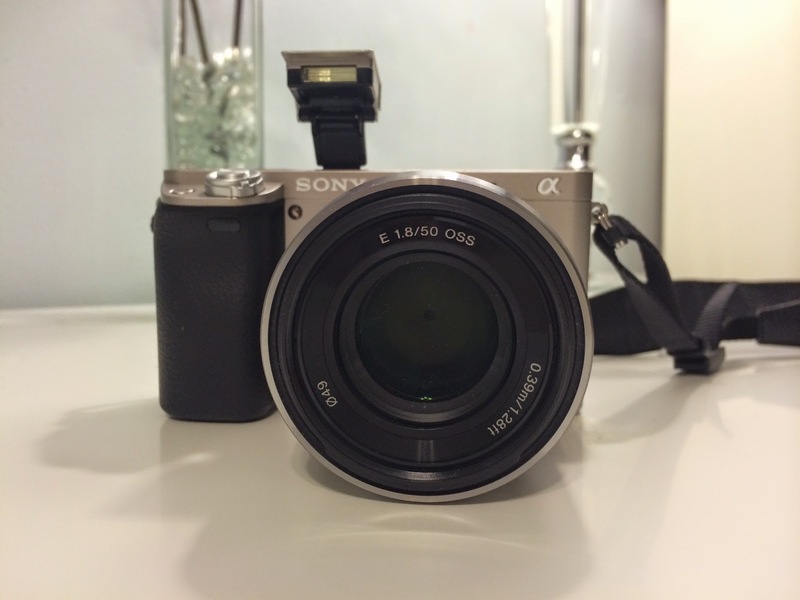 Unfortunately back in September my SONY NEX 5N pooped out. It wouldn't turn on and it would freeze all the time. It was becoming very temperamental which was no good for the blog. I went to my local camera shop and they said they would be able to fix it for $200 + but they couldn't guarantee a price until they actually opened the camera. I didn't want to spend that kind of money on a old camera that could break down again and again so I decided to buy a new camera. Everywhere I went everyone highly recommended the SONY ALPHA A6000 because the lenses I had from my previous camera were compatible with the new camera. 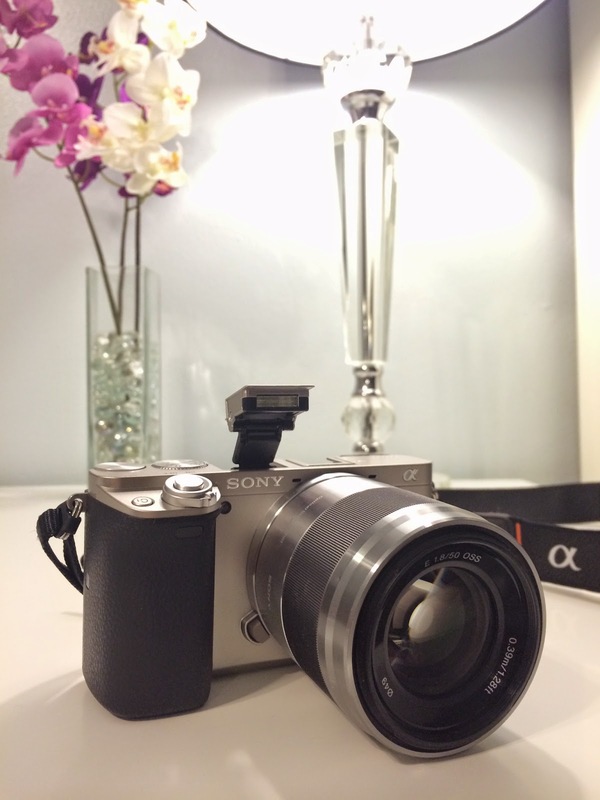 I purchased the SONY ALPHA A6000 - Body Only. This is the camera I have been using for the past 4 months and it has been a great upgrade from NEX 5N. I would recommend both the cameras because they both produce great quality pictures and are easy to use. With these cameras I would highly recommend getting a 2 or 3 year warranty plan because they are very expensive cameras to fix. The holidays are approaching quickly and this camera would make a great christmas gift for anyone who is looking to take up photography as a hobby. I hope this post helped you out and if you have anymore questions for me just leave them down below in the comments section and I will respond as soon as I can.